Don't freak out just yet. This is only a rumor. But Eldar Murtazin has tweeted that the iPhone 3GS might not receive the iOS 5 update: "Just one comment. Apple iPhone 3Gs wont be upgradable to iOS 5.x. iPhone 4 will." We could see this going both ways. For one thing, Murtazin could have been conveying the plural form of 'iPhone 3G'. But it would seem odd to compare that directly with the iPhone 4. We think he just neglected to capitalize the 'S'. For another thing, it would be weird for Apple to withhold the update when they are still actively selling the iPhone 3GS. But, conversely, the iPhone 3GS is a 2 year-old device. And the iOS 4 update dropped support for the original iPhone, and limited its functionality on the iPhone 3G. While we shouldn't take this as fact, Eldar Murtazin, the editor-in-chief of Mobile-Review, has a pretty solid track record of accurate intel. So what do you think? 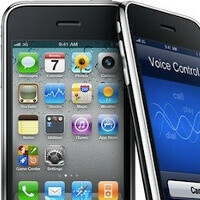 Will Apple leave recent iPhone 3GS purchasers behind? Yeah. Duh. It's an old phone. Upgrading a computer to run software it wasn't originally intended to run is a tricky business. Maybe doable, but as I recall the last major iOS update bricked a significant portion of older iPhones anyway. I believe it. IOS 5 may be optimized for dual core processors but designed with single.core 1ghz in mind as well. The 3GS is definitely yesterdays tech since it has less than a 1ghz arm in it. People just need to stop crying broke and kep up with the Jones. I have to say this but manufacture warranties are only a year old here. never seen a phone sold with a two year warranty in any way shape or form. carriers offer insurance for less than 7$ a month and two years of complete replacment instead of refurbs like other manufactures do is perfect for 60$ As for the Iphone 3GS not getting the newest updates, honestly who cares? i owned a 3G and had an awful time everyime a new update came out that slowed it down. do we really want to slow down our iphones even further? if you wanted the newest features and toys pay up and get the newest product. PS- Sniggly you are a troll, i see you posting in every new article talking crap and starting problems. Apple has not been known to back its older hardware though. I have a 2nd Gen iPod Touch that has had its last OS update. Look at the Mac line too. Due to the 3GS' age ... apple may ditch it. Or ... they will get it up to 5 ... to tease you and get you used to it ... and then stop patching it. It is not a matter of if ... but when.